Our catering team hosts small and large-scale holiday parties each year at beautiful venues across Texas, including the Etter-Harbin Alumni Center and The Bullock Texas State History Museum in Austin, and the Witte Museum and the historic Sunset Station in San Antonio to name a few. It may only be September, but it’s not too soon to start thinking about booking a holiday party for your company, friends, or family for this holiday season. In fact, it’s a great time! Spaces and dates are filling quickly, so contact one of our Sales Managers if you’re interested in hosting your holiday party with us this year! 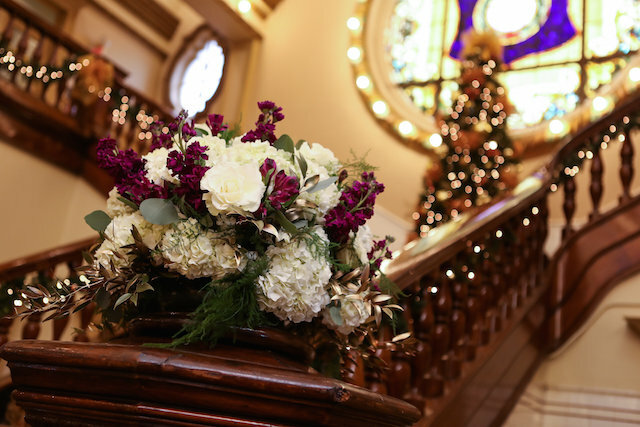 Our catering team hosts small and large-scale holiday parties each year at beautiful venues across Texas, including the Etter-Harbin Alumni Center and The Bullock Texas State History Museum in Austin, and the Witte Museum and the historic Sunset Station in San Antonio to name a few. No matter what your holiday event needs may be, our team can work with your vision and budget to bring the celebration to life. With some of the best chefs in South Texas on staff, personalized menus, and in-house décor capabilities, combined with our extensive vendor network, your employees, family, and friends will be talking about your holiday party for years to come! Some of the most memorable holiday parties we’ve serviced in recent years include hosting the HomeAway and Jones Energy holiday parties at The Bullock Texas State History Museum, a venue in Austin in which we’re the preferred cater. For the Jones Energy Holiday Party, employees got to experience an elegant evening with our lavish in-house Christmas decorations, a custom-made bar, and delectable dishes. Holiday weddings are also memorable for our teams every year. Not only are they beautiful, wedding planners and couples especially love our seamless one-stop event solution during this time of year. 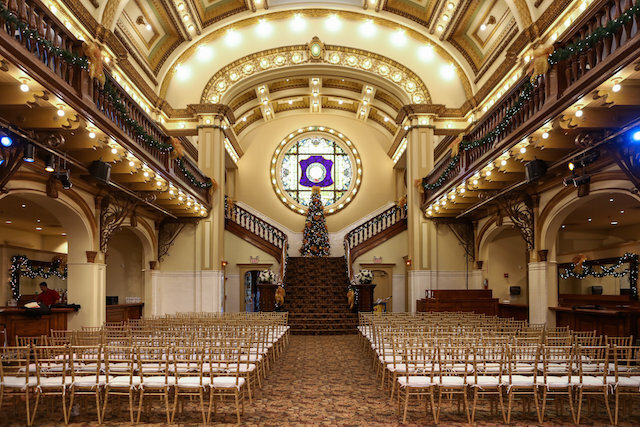 Check out this Winter Wedding our team serviced at the historic Sunset Station in San Antonio, a venue in which we serve as the exclusive caterer. 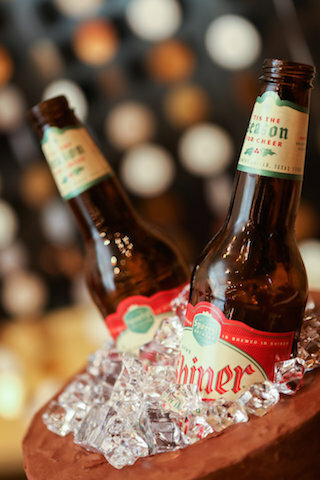 The holiday party possibilities are endless with our one-stop event solution! From menu design, décor, chairs, linens, floral, and entertainment, to the venue rental itself, our team can handle it all! Contact our Austin or San Antonio teams to book yours now!